The SYLVIAERA dance school has a much-envied reputation in Montreal thanks to its high quality teaching given by experienced professionals and due to the small sized groups of 4 to 10 students and its private class option. Our Jazz & Contemporary dance classes are offered for children, teenagers and adults and Professional dancers. REGISTRATION AT ANYTIME: By phone, on our online store or at our Dance School with an appointment. Pay on a pro rata basis for the remaining Spring 2019 courses. SUMMER ‘’À LA CARTE ” SESSION 2019: From Monday July 8 to Thursday August 22, 2019. Great: Go on vacation and catch up your missed classes! *Check the mandatory Dress Code. Read further down for more details, rates and descriptions concerning each one of our class offered! Contact us for more information or to subscribe to a class. Creative dance classes will allow children from 3 to 4 years old to take their first steps into the dance world. Through numerous games and exercises, children will learn to use their body to communicate their emotions and interact with other children. These classes will stimulate their motor skills, in a fun and safe environment. Creative dance classes will give them the love for dance. ‘’Entre-Chat’’ class is offered to the 5 years old children. Introduction to the basics of Ballet and Jazz. Children who have passed Creative Dance 2 course or who are currently 5 years old are ready for the “Entre Chat” course. After this class, students will be ready to decide if they want to continue in Ballet 1 or Jazz 1 or Contemporary 1 that are offered to 6 years old kids and older. This course allows the child to be introduced to an original and dynamic gesture specific to the Contemporary. Inspired by several technical currents, this course can include center work and ground work as well as less formal movements that are part of contemporary dance. The Jazz 1 course will allow the child to begin his apprenticeship in the wonderful world of Jazz. The Jazz 1 course will permit the child to stretch and have fun while learning the basic technical notions of jazz on a varied musical choice. He will become familiar with rhythm, movement as well as work in space. The Jazz 2 course continues to advance the student in the wonderful world of Jazz. This course will allow the child to know the different styles of Jazz such as Jazz-Modern, Jazz-Broadway with a touch of “Cabaret” while combining a very good technique and an interpretation work. He will evolve with more advanced exercises of rhythm, movement as well as work in space. The Jazz 1 course introduces the student to different Jazz styles such as Jazz-Modern, Jazz-Broadway with a touch of “Cabaret”. This wide range will allow him to progress in his learning while combining a very good technique and an interpretation work. He will become familiar with rhythm, movement as well as work in space. 15 minutes of warm-up, 45 minutes of learning different choreographies: Lyrical, Jazz, Latin, Dramatic, Pop….according to the moment and the choreographer. On the spot interpretation, enthousiasm, expression and especially, audacity; these are the qualities you will be asked find within you and put forth during this workshop. A grand jeté in the show world! Sylvia specializes in the art of making a dancer into a complete artist who is highly competitive on stage. 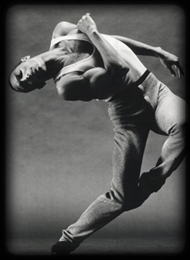 This course allows the student to learn an original and dynamic gesture specific to the Contemporary. Inspired by several technical currents, this course can include center work and ground work as well as less formal movements that are part of contemporary dance. The stage presence will also be approached. A technical course based on contemporary jazz, specialized on stage presence and projection; Which may include center and ground work. This course will allow the student to progress in the world of contemporary dance. *** You must have a dance base to take this course. The Jazz 1 course introduces the student to different Jazz styles such as Jazz-Modern, Jazz-Broadway with a touch of “Cabaret”. This wide range will allow the student to progress in his dance learning while combining a very good technique and an interpretation work. He will become familiar with rhythm, movement as well as work in space. This class is a jazz-funk based class consisting of a wide range of styles. It strengthens basic jazz technique, as well as, focusing on jazz-funk, alternative, hip-hop and pop. The warm up includes stretching, body isolations and abdominals exercises which will prepare the body for the technical part of the class. This class is a diverse, dynamic and physical one which will help develop dancer’s musicality, expression and performance. 15 minutes of warm-up, 45 minutes of learning different choreographies: Lyrical, Charleston, Can-Can, Disco, Jazz, Latin, Dramatic….according to the moment and the choreographer. On the spot interpretation, enthusiasm, expression and especially, audacity; these are the qualities you will be asked find within you and put forth during this workshop. A grand jeté in the professional world! Sylvia specializes in the art of making a dancer into a complete artist who is highly competitive on stage. Prices include registration fees. Taxes not included. Please note that we honour cash payments, interac money transfer, credit and debit cards. 10% discount: For members of U.D.A., R.Q.D., SYLVIAERA artists at a full session registration. Please note that there will be no reimbursements after a session begins. The deposit will be reimbursed only if cancellation is made prior to the beginning of a class. Plus there will be a $45 fee for any Annual Registration cancellation.